Traditional meets contemporary in “Piaraapivut” from Inuit singer Laina Tullaugak. 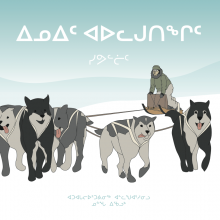 The seven songs on this CD feature lyrics sung in Inuktitut and melodies with pop-folk-country sensibilities. 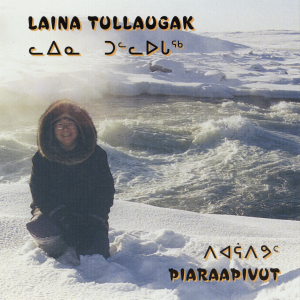 Tullaugak also incorporates traditional throat singing into some of the songs. In addition to vocals and throat singing, Tullaugak plays acoustic guitar. She is backed up on the recording by Eric Brassard (electric and acoustic guitar, rhythm, lead and bass guitar), Martin Periard (drums) and Daniel Godro (keyboard, bass guitar, studio shaker). Tullaugak’s voice is genuine and deep, and this makes her stand out, emphasizing the overlap of the traditional with the contemporary.“Piaraapivut” is a CD with instant appeal that will make an interesting addition to any indigenous music lover’s collection. Laina Tullaugak was born in Puvirnituq in Nunavik in 1961. She moved to Montreal afterwards and passed in 2014. When she was a little girl, her parents used to encourage her and her siblings to play music. Her father would buy musical instruments to practice with, this helped them orient themselves in music. Meanwhile her mother, Alacie, would teach how to throat-sing. She has performed in various festivities in the Arctic, and in Europe, in Montreal and Quebec. She also performed traditional throat-singing with her mother in Montreal.